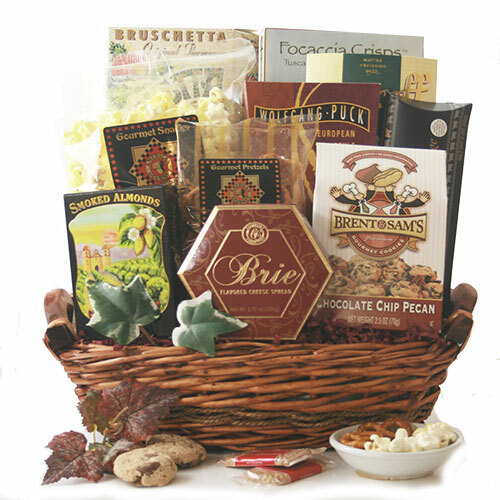 A to-die-for collection of gourmet delights awaits your lucky recipient. They’ll feast on gourmet crackers, cheese spread, beef summer sausage, roasted almonds, cheddar popcorn, pretzels, a delicious assortment of cookies, and Wolfgang Puck coffee. With so much to choose from, they won’t know where to start.